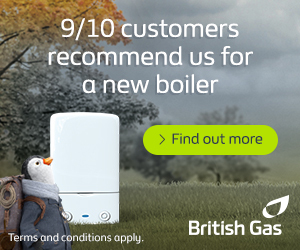 You may not realise it, but your boiler accounts for 55-60% of your annual spend on energy. If your boiler is operating inefficiently, there’s a very good chance you could be wasting both fuel and money. In some homes, replacing an old boiler with a more energy efficient model could reduce annual energy bills by as much as £315. But how do you know which boilers are the most energy efficient? There are currently ways of rating a boiler for efficiency: SEDBUK and ErP. But how do you know which boilers are the most energy efficient? You need to take a look at something called the SEDBUK rating which you can view in our boiler efficiency tables. SEDBUK stands for ‘Seasonal Efficiency of Domestic Boilers in the UK’. It is an energy efficiency rating scheme which was developed by boiler manufacturers and the UK government to enable a fairer comparison of the energy efficiency of boilers. Boiler efficiency was calculated as a percentage and awarded a rating from A to G based which energy efficiency level they met. However, in September 2015 the SEDBUK rating system was replaced by the Energy related Products (ErP) Directive. 20% more energy produced from renewable resources such as solar or biomass. ErP requires boiler manufacturers to label their products with an energy performance rating from A+++ to G, with G being the least efficient. The theory behind SEDBUK calculations is based on 3 years of laboratory research and tests which examined 20 different boilers. The results of these tests were combined with other factors such as type of boiler, fuel, ignition method, climate, water content and typical domestic usage patterns. In addition, trials were carried out in 99 homes to support the laboratory theory. SEDBUK vs. ErP: Which Rating System Should You Use? Although the SEDBUK system has been replaced, many manufacturers still include the SEDBUK efficiency in their product information. This is because the ErP system assigns a letter to the product but not the percentage detail (usually between 70 – 92%) which is given under SEDBUK. Under the newer ErP system almost all modern condensing boilers are A-rated under ErP, so it’s not easy for homeowners to identify which boilers are more efficient. The previous SEDBUK system which tells you how much of the energy used by your boiler is wasted. For example, a boiler which is 70% efficient wastes 30% of the energy it uses (i.e. the energy you pay for). A boiler which is 90% wastes just 10% of the energy, or 10p of every £1 you spend. This is why many choose compare the SEDBUK efficiency rating of potential new boilers rather than the ErP rating. Whether you choose to use the SEDBUK or the ErP rating system, the most important thing to remember is to go for the highest efficiency you can. An energy efficient boiler will produce less emissions and use less fuel which in turn should lower your energy bills. Condensing refers to the condensation which is created within the boiler as a byproduct of heating water. In a traditional boiler, this is turned to water vapour so it can be expelled as a waste gas. However, a condensing boiler will turn this vapour to energy so it can be recycled back into the system. A condensing boiler is highly efficient as it wastes less energy and so doesn’t need to use as much fuel. This makes it both more energy efficient and cheaper to run. There are several ways to find out how energy efficient your boiler is. Your boiler manual should state this in the specification, however you need to remember that the efficiency of a boiler declines as it ages so the stated figure may no longer be accurate. If you recently bought your home it’s likely that this information will have been included with your sales documentation. Or, even easier, just take a look at our boiler efficiency tables to check the efficiency of your boiler and see if you could be saving money with an A rated boiler.